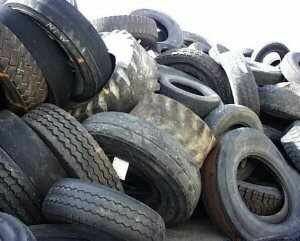 REDISA has announced that following the change in its funding model, "based on the implementation of a Tyre Levy collected by SARS effective 1 February 2017, it has ceased all collections with immediate effect." “We have not been allocated any funds post 1 February, and as a result of not having received any funding, and until, and if, government funding has been received, REDISA has no choice but, for the time being, to cease tyre collections,” says CEO of REDISA, Hermann Erdmann. · Deliveries to processors will continue as scheduled until further notice. “Our understanding from Government communications was that this was just a change in funding model but that the industry would be continue to be funded. REDISA is taking every step to secure the funding necessary to reinstate its collections. To this end we have notified the Department of Environmental Affairs of the environmental and business ramifications of ceasing collections. In the Minister of Finance’s Budget Review for 2017, two hundred and ten million rand was allocated to the Waste Bureau for REDISA/Waste Bureau and we are engaging with the Department to secure the allocation which would allow REDISA to resume collections,” adds Erdmann. REDISA is currently in discussion with Government stakeholders and has filed papers in court with regards to its position. All affected parties are recommended to contact the Waste Management Bureau at the Department of Environmental Affairs for further information on legally disposing of waste tyres at wastebureau@environment.gov.za or 012 399 9803, or the DEA call centre on 086 111 2468.